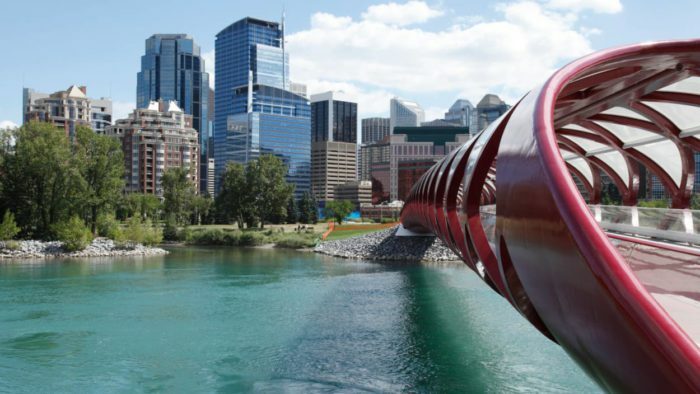 With a number of meetings dedicated to wind and solar power, Calgary seems to be a sought-after host city for natural resources and renewable energy conferences. For one, the Global Petroleum Show, North America’s largest conference for oil and gas professionals, has been convening in Calgary for over fifty years and is now hosted at BMO Stampede Park. It welcomes some 50,000 thought-leaders, industry influencers and professionals from 100 countries for three days of keynote speeches, technical presentations and panel discussions on the future of the industry. The Annual Technical Conference and Exhibition (ATCE) is the flagship event of the Society of Petroleum Engineers, the largest individual-member organization dedicated to engineers, scientists and other professionals in the oil and gas industry attended by some 6,000 delegates. Finally, Energy Disruptors Unite, a two-day conference held in May 2018 aimed to embrace the concept of disruption providing Calgary oil and gas professionals a chance to connect with the brains behind the ideas that threaten traditional business models. The second Energy Disruptors Unite conference will be held at Calgary’s Stampede Park, September 18 – 19, 2019. Some 43% of Canada’s installed wind generation capacity is operated by Calgary-based energy companies, making the city one of the country’s centres of excellence in renewable energies, complemented by innovations being created through University of Calgary’s Centre for Advanced Solar Materials and the Calgary Advanced Energy Storage and Conversion Research Group.